looks good, .58 should do the job. Never could shoot a flintlock very well offhand always made me flinch, off a bench could shoot decent. That ought to work Bronko. Best of luck making meat. The hardest part Semi is going to be seeing one to shoot. I already filled my buck tag during archery and all I've seen since are more buck. I haven't seen a doe all year! I just hope I don't shoot a buck that dropped its antlers. That's why they call them anterless. Legal but I won't shoot one intentionally. 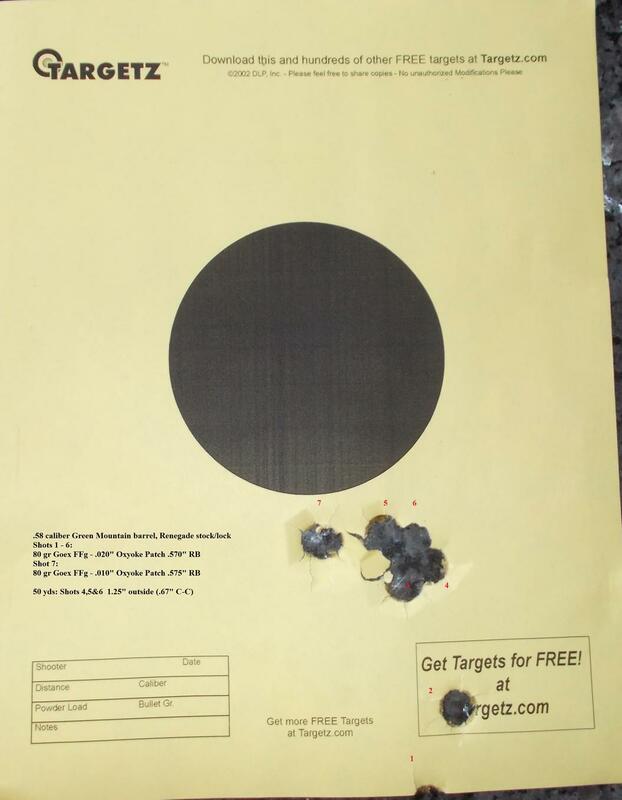 Wow, that’s some great shooting with a Flintlock even if it was from the bench! Problem is it eliminates one excuse if you miss. not to worry Ed...I got plenty of excuses! Out this morning and covered a lot of ground. Lots of sign and caught a glimpse of a tail and it ran past my buddy. He heard it crashing thru the brush but couldn't see it. That's the trouble with hunting where we hunt. Its so thick but that's where they are after all the pressure they've been getting. Last edited by bronko22000; 12-26-2018 at 08:12 AM. An earthquake in Indonesia once made me miss a nice doe at 85 yards. Bronkos got no shortage of excuses. Last year I think he fell down off a log or something like that to get out of hunting. I'm sure he'll come up with something!